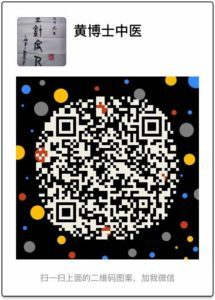 I highly recommend to anyone seeking an alternative treatment method to go see Dr Win. I have been experiencing severe back pain for over 9 months, during which time I have seen d and s to assess and help fix the issue. I have had CT scans, MRI, X-rays and blood tests – all of which were non conclusive, and the back pain continued with no recommendation on how to fix, and the usual old pain killer prescription which did nothing but mask the pain. 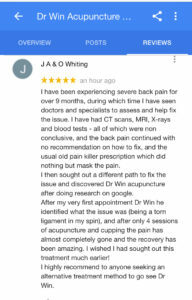 I then sought out a different path to fix the issue and discovered Dr Win acupuncture after doing research on google. 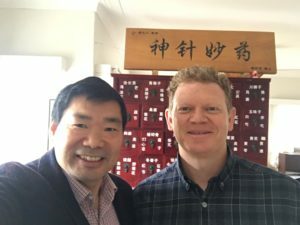 After my very first appointment Dr Win he identified what the issue was (being a torn ligament in my spin), and after only 4 sessions of acupuncture and cupping the pain has almost completely gone and the recovery has been amazing. I wished I had sought out this treatment much earlier!